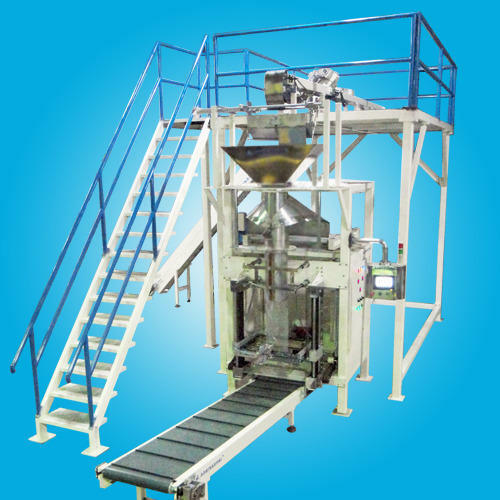 Adhisakthi is a top name in the segment of vertical form fill machines and vertical form sealing machines. These filling and sealing machines have high accuracy in packing material into pouches. The special design of Vertical Form Fill Seal Machines ensure its compatibility to work with various packing material made of PP/LD/Laminates etc. We can provide draw bar mechanism or belt draw down mechanism in the vertical form fill machines. Its contact parts are manufactured of SS 304 and its control is complete PLC. The sealed packets are advanced to an angle to the rotary turn table for checking and packing. 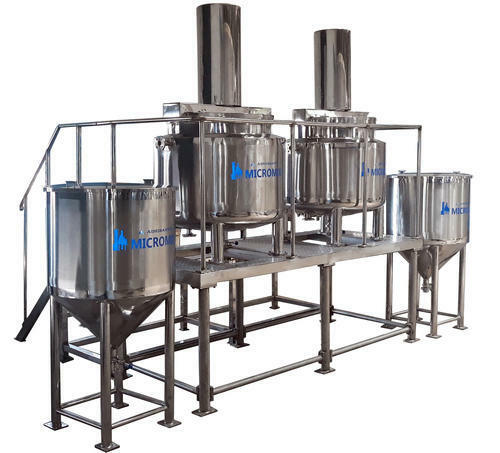 Volumetric: Oscilating cup dosers or rotary cup dosers. 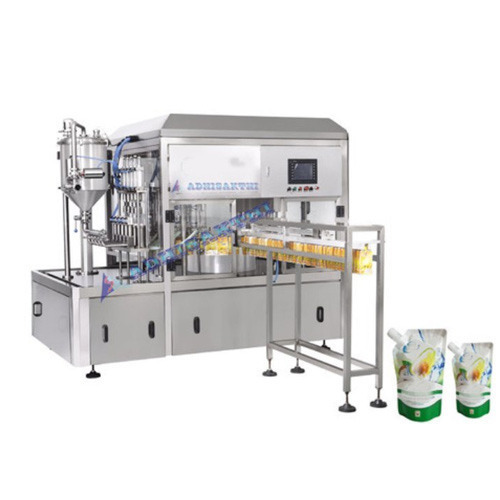 * The spout filling and Capping machine fills liquids, paste, oil, gel, food products into stand-up spouts. One Forming Collar Will Be Provided - Change Parts extra electrical. Consumption 10 CFM @ 6 Bar Pr. 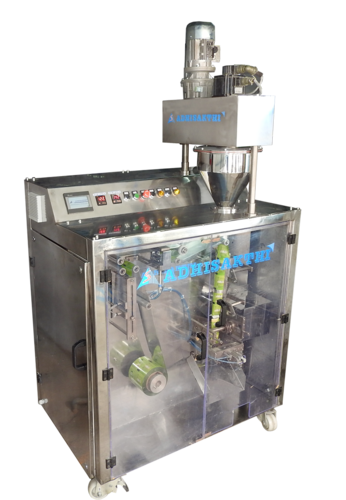 Adhisakthi Projects specialized in Automatic Form Fill Seal Packing Machines for Solid, Liquid, Powder & Granules substances. 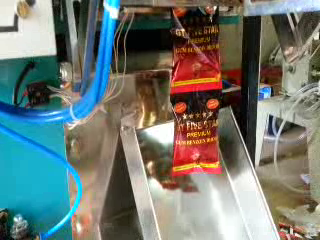 We can able to give upto 10 Kg packing in Pouch Packing Machine. 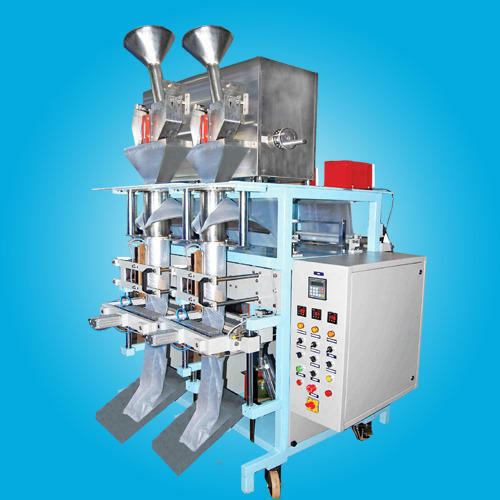 Vertical form filling & sealing machine fitted with oscillating cup model dosers. Oscillating cup doser is a unique design to fill free flow powders. Speed of the machine reaches up to 30 per min dep upon pouch length & product. Chips, Snacks, Ball chips, sambrani, cranes, candy chocolates, granules etc. We are manufacturer and suppliers of Liquid Soap Plant. Robotics can handle the complete job from concept to installation as your general contractor for a turnkey end of line automation project, no matter what the size. Adhi Sakthi has consolidated manufacturing resources, which enables it to be placed among the prestigious Pouch Filling Machine Manufacturer. We supply vertical form fill and sealing machines that are used for packing various material into pouches. 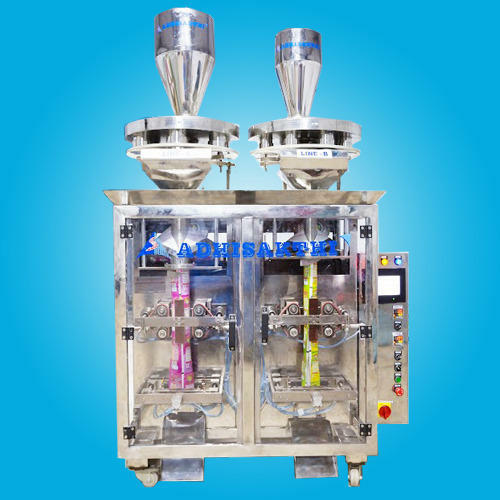 The pouch filling machine is flexibly designed to run various material made of PP/LD/Laminates and others. This machinery We invest a great deal of money to maintain modern and strong manufacturing base so that we always fabricate pouch filing machine with best quality standards. Volumetric: Oscillating cup doses or rotary cup users. Looking for “Pouch Filling & Sealing Machines”?